Explore, relax and reconnect at China Creek Campground! We offer an immersive Vancouver Island camping experience on the Alberni Inlet with stunning oceanfront to forested tent and RV sites. Relax in one of our 250 tent or RV campsites with beautiful forested or beachfront scenery. We have sites that offer full service hookups through to an authentic wilderness camping experience with some unserviced sites. China Creek Campground offers a unique camping experience in Port Alberni. Enjoy beautiful views of the Alberni Inlet, a large quiet natural beach and nearby access to the world class fishing and hiking. Our facilities include a playground for children, onsite washrooms with showers, and laundry services. We have 250 tent and RV campsites ranging from wilderness to full service sites with hydro, water and septic hookup. 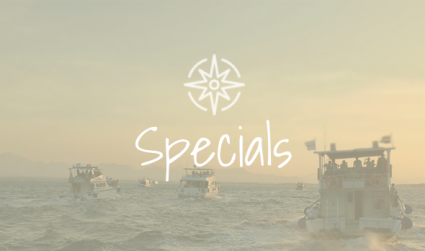 Take advantage of our full service marina from April 1st – September 30th. Our marina has the option for moorage or launching at your leisure from our four lane boat launch. Other marina amenities include an onsite fuel dock, fish cleaning station and ice. World class fishing in the Alberni Inlet is easier with direct access from our full service marina. Explore activities on land and sea, or heritage and culture all within a 15 min drive to the City centre. Your China Creek Campground adventure awaits. Contact us to check our campground and marina availability. Our covered picnic shelter and beautiful scenery creates a perfect setting for bringing people together. Planning a group BBQ Picnic, family reunion or need an outdoor wedding venue? Situated on the picturesque Alberni Inlet, your China Creek Campground adventure awaits.